This would make a great dip for Superbowl Sunday! 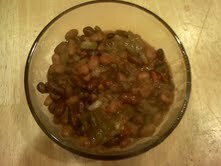 You can also have it for dinner and then use the leftovers to make nachos, chili fries, and to top baked potatoes. Soak veggies in 8.0-8.5 pH Chanson ionized alkaline water. Add all ingredients to crock pot and simmer on low for six hours. Optional: Garnish with avocado slices. We at Chanson Water love the taste of alkaline pH 9.5 water produced by our water ionizers. Taste may vary by source water, although one customer from Riverside County CA (whose tap water is ranked the #4 WORST in America) loves the taste of her ionized water! We hope you find this helpful and inspiring. Feel free to experiment and comment with your favorites or your own ideas! Visit www.chansonwater.com for more information on alkaline ionized water. Directions: Soak spinach and strawberries in 8.0-8.5 pH Chanson alkaline ionized water for 10 minutes. Add all ingredients to blender and serve immediately. Soak all veggies in 8.0-8.5 pH Chanson alkaline ionized water for ten minutes. Add a small amount of water to a wok along with all veggies and cover, stirring ocassionally for 10 minutes or until they reach your desired level of tenderness. Coat with spices and oil, stir and serve alone or atop brown rice. Soak all veggies in alkaline 8.0-8.5 pH Chanson water for ten minutes. Dry with paper towels. Spread hummus on tortilla or inside of pita pocket and fill with veggies, oil and seasonings. Wrap and enjoy! Currently, over 66% of American adults are overweight or obese, with many of them making “lose weight” their #1 new year’s resolution. And for good reason. Being overweight or obese raises the risk of heart disease, diabetes, some cancers, arthritis and other conditions, and an obese person can expect to pay about 41% more in health care costs per year than a person of normal weight. Dr. Robert O. Young, author of The pH Miracle for Weight Loss, explains that, “The body retains fat as a protection against the overproduction of acids produced by the typical American diet…Your fat is actually saving your life.” As further proof of this, tests on fat which was liposuctioned by plastic surgeons revealed that fat is full of acid. Reducing your consumption of acid-forming foods like meat, processed foods, soda, sugar and artificial sweeteners and replacing with a plant-based diet of alkaline-forming fruits, vegetables and whole grains is a surefire way to reduce acidity and thus achieve natural weight loss and improved overall health. “An acidic body pulls water into the tissues to try to neutralize the acids there…Without enough water, your body becomes too acidic and goes into preservation–fat-storing mode,” according to Dr. Young. He goes on to say that, “Drinking alkaline water washes away acids and wastes, helping your whole body stay alkaline. 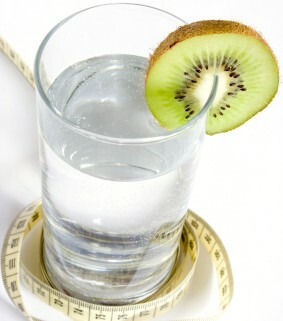 By providing alkaline water to neutralize and remove acid from the tissues, you’ll stop the body from gleaning alkaline substances from other parts to do the job–like leeching calcium from your bones.” By continuously alkalizing the body with Chanson alkaline ionized water, weight loss may result since the toxins will be flushed out thereby rendering the fat unnecessary. Chanson Water is now Dr. Young’s preferred brand of ionizers. “Pain when you exercise is a sure sign that you are oxygen-deficient and producing increased metabolic acids (lactic acid & sugar) rather than accessing your electron reserves and acidifying your body. You’re stressing rather than strengthening your body. So be sure to keep your exercise pain-free, fully electron-charged from alkaline foods and drinks and aerobic. If at any point you do feel pain or discomfort while exercising, stop immediately and hydrate…(with) good alkaline water to restore alkalinity and to increase your reserves of electrons,” Dr. Young says. Rather than pushing the body to exhaustion or inflicting pain on the muscles and joints, you should practice aerobic exercises like walking, jogging or rebounding (jumping on a mini trampoline) or static exercises like yoga, pilates, stretching and pain-free weight-training which are all alkaline-forming. While stress over achieving your weight loss goals and frustration during the process is natural, it’s important to try to keep stress and negativity to a minimum in order to reduce acidity. This is because Dr. Young has seen negative emotions have a more damaging effect on one’s alkalinity than even the worst of foods! When you start to feel negative emotions or think negative thoughts, try taking a few deep breaths and distracting yourself with something positive like pictures of a loved one or a happy memory. We hope you find these weight-loss suggestions helpful, and wish you the best on your journey to a healthier version of yourself. Our Avocado Tofu Breakfast Burrito is a great, easy and filling alternative to a traditional egg and cheese breakfast burrito and is not limited to just mornings! It is vegan (depending on the brand of tortilla you buy) and very flavorful, don’t let the tofu scare you. Kids love it too, and this recipe also doubles as good mock scrambled eggs if you omit the tortilla. Try it and let us know what you think! Soak vegetables in 8.0-8.5 pH Chanson alkaline water. In large skillet, sautee onions and bell pepper in olive oil. Add tofu, salsa and spices and cook approximately 5-7 minutes. Add spinach and cook another minute. 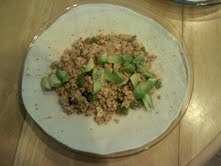 Spread in the middle of tortilla, top with avocado and wrap. Look for new alkaline recipes every Monday, check out our other recipes, and visit us at www.chansonwater.com for more information about the health benefits of Chanson alkaline ionized water. Since overeating during the holidays has become commonplace and even “tradition”, most people naturally look to the new year as a fresh start and thus make resolutions to lose weight, quit bad habits like smoking, and start going to the gym. Goal-setting/planning is the first step towards making positive changes for your health and we recommend that you consider a detox program to kick off the new year. A detox program can aid your body’s natural cleaning process by releasing excess toxins and wastes, improving circulation, and replenishing your supply of alkaline minerals. There are many different detox methods that you can implement as well as time periods you can choose to do them for. We recommend that you consider the following suggestions and select the methods and time periods you feel are most realistic for you. Obviously the more methods you implement and the longer you do them for, the better your results may be, however taking on too much at once could be counterproductive if you fail to stick with them. We have heard of cleanses lasting anywhere from three days to three months, and people changing their diets for a lifetime or doing one-day-a-week fasts indefinitely. A detox program can benefit virtually everyone, however if you have a health condition or are pregnant or nursing, you should discuss with your physician before starting any new eating or lifestyle program. Fresh juice fasts (especially those high in greens) are a popular way to cleanse and alkalize the body. You can try starting every day with a glass of fresh juice, replace one meal a day with juice, or go all out and drink nothing but juice for weeks or months as Joe Cross did and inspired many others to do in the film “Fat, Sick and Nearly Dead.” We recommend cucumber-pear and kale-green apple as easy and cleansing duos, but keep in mind that the act of juicing even the most alkaline of fruits and vegetables creates a mildly acidic juice, therefore we recommed that you offset the acidity by diluting with 9.5 Chanson alkaline ionized water. You can juice your own if you own a juicer, or there are companies on the internet that you can order from which will deliver fresh juice to your door daily for the duration of your cleanse. Drinking Chanson alkaline ionized water is essential throughout any detox program because it helps to flush out the many toxins that will be stirred up and eliminated from fat stores and organs in your body like your lymphatic system and your kidneys. Ionized water is microclustered which means it penetrates cells deeper than traditional water and can thus flush them out more effectively. A Chanson water ionizer is a wonderful investment for overall day-to-day health, not just during a detox. You can also try one day a week “water fasts” where you drink nothing but Chanson ionized water to cleanse your system. When we consume unnatural foods, they can leave behind a dense residue in our cells, which can turn into excess weight, body odor, wrinkles, cellulite and premature aging. Therefore, sugar, artificial sweeteners, animal products, processed foods, and fried foods should be eliminated from your diet during a detox and reduced in general for overall health. For example, just because coffee, alcohol, milk and sodas are liquids does not mean that they are acceptable for a liquid feast. Likewise, ordering “fresh juice” off of a Jamba Juice menu is not going to have the desired effect due to the excess sugar their smoothies contain. Dairy products clog your system and are acidifying, so avoid yogurt also. If you choose to incorporate some solid foods into your diet, then you should rely heavily on raw alkaline fruits and vegetables as snacks, starters and even meals. Raw foods are more nutrient-dense than cooked foods and their negative ionic charge is the opposite of the positive ionic charge of toxins in our cells. The fiber found in fruits and vegetables will also help with elimination as well. Consider munching on carrot, celery and bell pepper sticks dipped in hummus, salads with oil-based dressings, and fruits dipped in almond butter. According to Dr. Norman Walker, author of “Colon Health: The Key to a Vibrant Life”: “The elimination of undigested food and other waste products is equally important as the proper digestion and assimilation of food…the very best diets can be no better than the very worst if the sewage system of the colon is clogged with a collection of waste and corruption.” A colonic is a safe and effective method for cleansing the bowels and can be performed by a professional or done in the comfort of your own home with the use of a colema board as often as once a month. Without them, buildup in the bowels can lead to prevention of the absorption of water and nutrients, constipation, growth of harmful bacteria and yeast and autointoxication (when toxins are absorbed into the bloodstream through the colon wall). While you’re working hard to watch what goes into and comes out of your body, don’t forget to keep an eye on the toxins you may be exposing yourself to externally. Virtually all chemical-based household cleaners and many personal beauty products like shampoos, deodorants and toothpastes are acidifying to the body and contain known carcinogens. Chanson ionized acidic water–the byproduct of a water ionizer–is an all-natural alternative to everything from mouthwash and facial toner to Windex and Lysol. “Instead of hard exercise (which creates lactic acid), one should practice traditional Asian soft-style exercises such as yoga, Tai Chi, and Chi Gung on a daily basis throughout the duration of any detox program” according to Daniel Reid, author of “The Tao of Detox.” Don’t have the time and/or desire to learn traditional Asian exercises? Rebounding on a mini-trampoline can dramatically improve lymph flow while exercising every cell in the body, and walking, stretching and aerobic exercise also works well. To increase circulation and help flush out toxins, try alternating a very hot shower for five minutes, with cold water for 30 seconds, for a series of three times in a row before wrapping in a towel and getting into bed for 30 minutes. But don’t try this before installing a Chanson Spa Shower Filter, which filters harmful chlorines and chloramines from the water which would otherwise be absorbed by your skin and lungs. One way toxins are released from the body is through perspiration, which is why most spas offer saunas and steam rooms. Infrared saunas are preferred as they can cause you to perspire more than twice as much, and if you are going to be using a steam room or wet sauna make sure it is using filtered water so that you are not inhaling the contaminants found in tap water. “Deep breathing greatly enhances oxygenation of the blood and tissues, which helps neutralize acidosis and maintains a healthy alkaline environment inside the body” according to Reid. One of the main ways to move the lymph system is through breathing deeply, so try focusing on your breathing several times throughout the day. To increase lymph flow, you can use a natural bristle brush on dry skin by brushing in circular motions towards the heart. This will help your lymph system rid itself of the toxins that collect in the lymph glands and keep the pores of the skin open. We hope that you will find these detox suggestions helpful and will try to implement one or more of them this new year for better health. DISCLAIMER: The author of this article is not a trained physician. This advice is not meant to replace that of a qualified physician. If you have a health condition or are pregnant or nursing, you should discuss with your physician before starting any new eating or lifestyle program.